Colors to use with black background? Is using yellow text on a black bg bad as Mike pointed out here? If yes what colors should I use (RGB or hex values)? A few years ago if you had asked this question then the answer would have been a resounding yes! 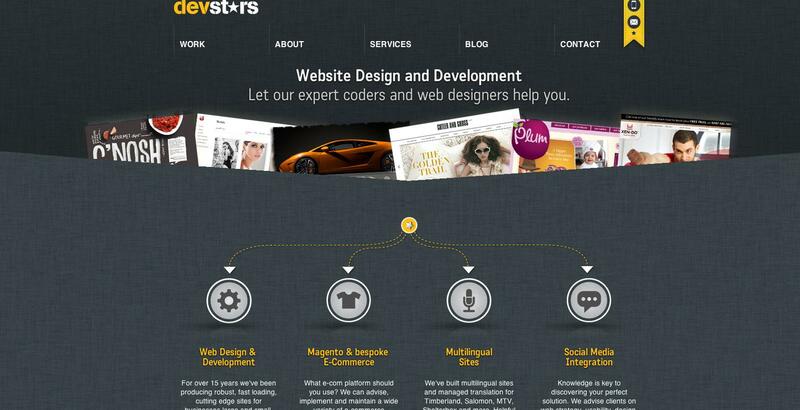 However we've been redefining design styles and ideas lately so it's now a little more complex. Yellow can work on a black background, but it's as much about fonts and where the colour is used that affect the overall look of the site. Make sure you're using fonts that are easily legible and you only use yellow for highlighting, as you have done. Also try not to use pure white either but opt for a gentler light grey such as #ebebeb. Bold colours such as yellow with a dark background are commonly seen with the current trend of flat design, however these are always a muted or softer version of the colour, and normally not a primary version of it. The background is also primarily a rich black (#252525 or similar) not true black (#000000). This makes it much easier to view whilst keeping the original idea for a colour scheme. This site gives you an idea of what colours look like on a background it's very useful to work out what hurts your eyes and what doesn't. This site gives a very nice example of how to use black and yellow, using white to off-set the potential harshness of the colour scheme. The yellow here is primary but used only to highlight. If you tend towards more golds and orange-yellows such as #f39c12 or #ffbb33 on soft black or dark grey backgrounds such as #333333 or #555555 then you should find it is easy on the eyes. Although it was a pretty funny comment, yellow text on a black background is not a designer hate crime. Here are some sites that play with that concept. It's important to note that what you'll find throughout all these great sites is some consistent themes though. They never use yellow text as paragraph text where or where there is content, it's mainly used as headings and sub headings. 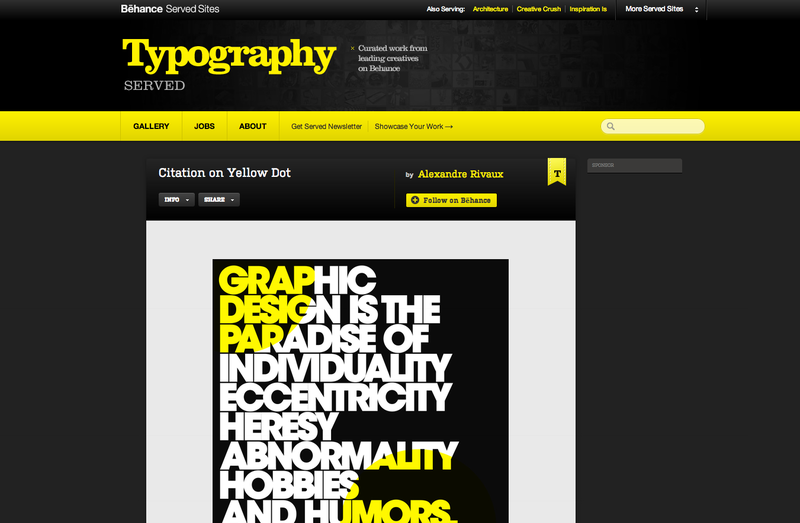 Typography served - This site has yellow typography designs on it as well just to show examples that aren't limited to the web. The concept is easy to botch, but if executed correctly I think it can make a visually striking design. I don't think it's so much to do with the hex values as it is to understand how to use the yellow throughout. I would, however, make sure to not use a full #000 black background as I think yellow on that is overwhelming for the eyes. Not the answer you're looking for? Browse other questions tagged website-design black or ask your own question. Should I use Hex or RGBA when designing a website? Pantone: Coated vs. Uncoated? Which one to pick for rgb? Integrating a photo into a “black” background for print in Illustrator? How heavy should ink coverage be for a custom CMYK rich black?